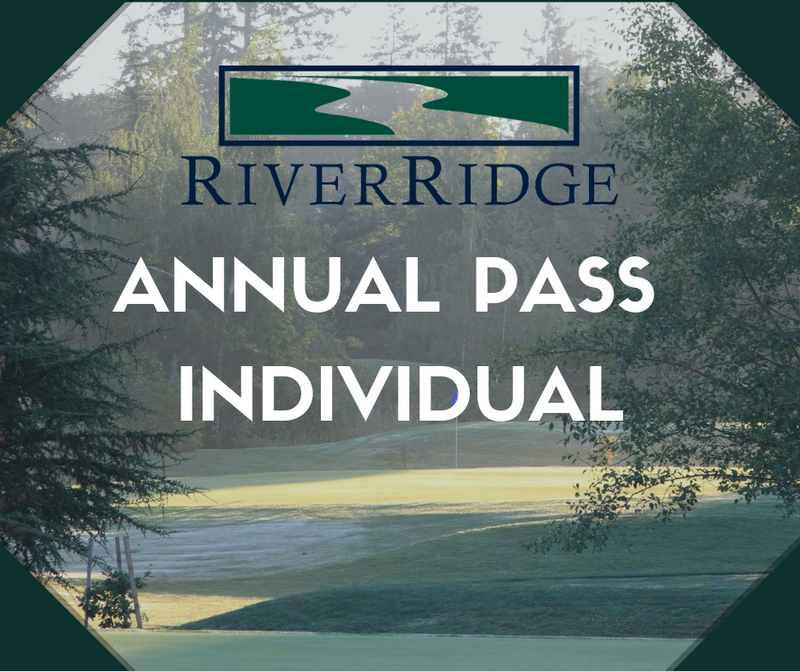 The Annual Pass entitles the Pass-holder to play golf any day of the week for one year from the date of purchase. The Pass is non-transferable & non-refundable. Play will be subject to tee time availability. Pre-Paid and Monthly Installment Options Available! Get your membership today with an initial payment of just $120! The payment method used online for the first $120 payment will be the assumed method of payment for the remainder of the year contract. Contract must be signed for membership to become active. After online purchase, your membership paperwork will be available for you to sign in the Pro-Shop on your first visit! RiverRidge Golf & Event Center will originate debit entries in the amount of $120 for 11 consecutive months. The first of the monthly charges will be on the first day of the month following the Annual Pass purchase. If the Annual Pass is purchased on the 16th day of the month or later, the first of the monthly charges will occur on the first day of the next month (i.e. Annual Pass purchased on January 16 will observe first charge on March 1).